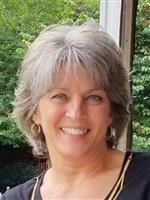 I am an experienced Associate Broker in Rabun County, GA and have been a licensed REALTOR since 2000. I have gained in-depth knowledge and expertise in real estate by earning the GRI designation through the Graduate REALTOR® Institute. I also hold a North Carolina Broker's License. My commitment to Rabun County extends to the community in which I work and live. I currently serve on the Board of Directors for the Rabun County Board of Realtors . My experience as Secretary-Treasurer, President-Elect, and President of the local Rabun County Board of Realtors has provided me with in-depth experience in the area. I have chaired multiple board committees over the past 17 years. I was honored with the Realtor of the Year award for 2008, 2012, and 2014. I received the 2017 Reader's Choice award for "Best Real Estate Agent". I currently serve on the Rabun County Habitat for Humanity Board of Directors and am involved with Rabun County Chamber of Commerce, Richard’s Kids, and Community Pantry. I was named Community Volunteer of the Year 2007. My office is located at 104 East Savannah Street in Clayton, GA.
Are you considering buying property in the Clayton (Rabun County), GA area? A home purchase is likely the biggest investment of your life. You deserve to have an experienced agent there with you every step of the process. As an experienced Rabun County, GA REALTOR®, I will ensure that your home buying experience is an easy and stress-free process. Not only do I enjoy helping clients find real estate in this area, but these mountains are my home. I love the area and am knowledgeable of Rabun County which consists of Clayton, Lakemont, Tiger, Wiley, Mountain City, Dillard, Sky Valley, and Rabun Gap. Whether you are searching for the perfect home, vacation getaway, retirement property, or land for your dream home, I can provide you with all of the tools that you need to make the home buying process smooth and easy. In addition, I can offer you references to area builders, contractors, excavators, electricians, plumbers, roofers, etc - every aspect in building your dream home. Are you thinking about selling your real estate in the Clayton, GA area? My commitment to real estate has helped numerous clients sell their property quickly and easily. I want to make sure that your real estate transaction is an enjoyable and successful one. I can assure you that I will provide you with unequaled service whether you are selling your land, home, or vacation property. I use innovative marketing strategies combined with the experience of the local Rabun County, GA area to help sell your home quickly at the right price. Please contact me today if you have any questions about Rabun County, GA real estate, or if you are thinking about selling or buying a home in Rabun County, GA and the surrounding communities. I am committed to providing the highest-quality service possible.